Het kaartenhoekje van Gretha: Lili of the Valley "Emma Presents"
Wow, this is beautiful! I have followed you for a while now, although I don't always leave a comment, but your work is top notch! 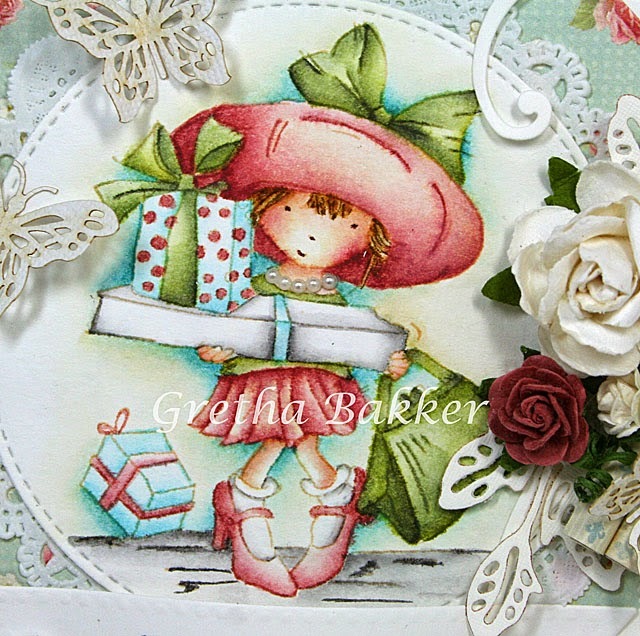 I love your water colouring with distress inks, done to perfection! 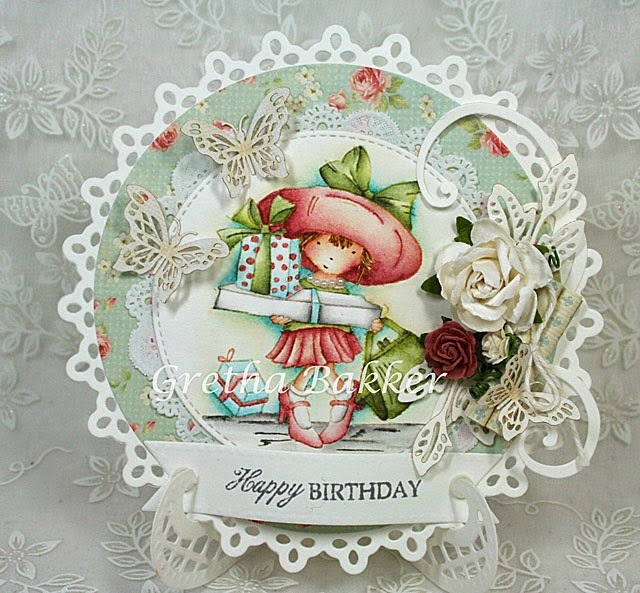 Love all the details you add to this card- fabulous! wat een lieve kaart weer gretha, en ja ik had je gisteren al gemist bij mo hihi. maar het moet toch een keer kunnen. 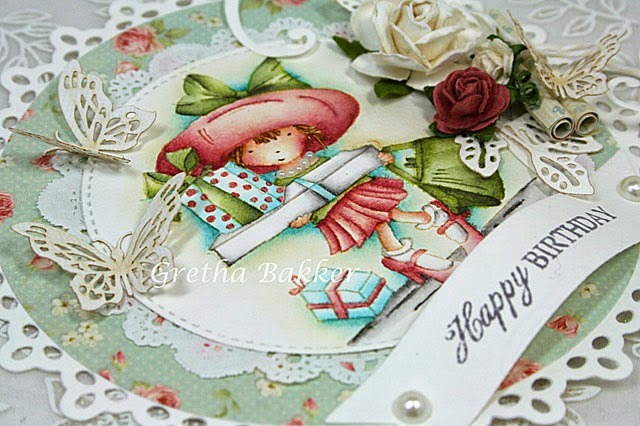 A gorgeous card and image Gretha, so beautifully coloured and embellished.